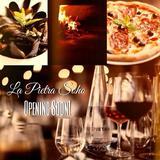 La Pietra is a new Italian restaurant opening on Commercial Street later this year. Boasting an extensive choice of dishes, La Pietra makes all its own bread and pasta on site daily. 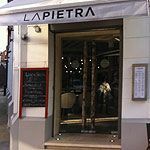 Do you work at La Pietra? 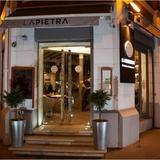 What did you think of La Pietra? 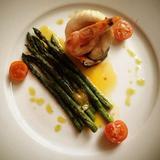 I recently purchased a voucher from Living Social for a deal at this restaurant. After several unanswered phone calls to the restaurant, I used their online booking system to make a reservation, asking them to call me back to confirm. When they didn't, the next day I tried unsuccessfully again to call to make my reservation. Worried that on a busy Friday night, I wouldn't be able to make my reservation, I used toptable to book and received confirmation of my booking. Looking forward to my evening, I went along to the restaurant. The owner was perched at the end of the bar and before I had even taken my coat off, started firing questions at me about the way I'd book the table. He insisted it was impossible I had rang as he would have answered the phone. I told him that I'd emailed a reservation through and asked him to return my call, which he admitted he had received. He told me I could only book a table like that on the same day I wanted to come in. Raising his voice, he started to tell me how he would now have to pay a £5 fee to use toptable and that I wasn't making him any money using the voucher so why should he have to pay that fee too? I began to get visibly upset, as he was embarrassing me in front of the entire restaurant, including his own (very nice) waiting staff. On seeing this, he told me that I could do what I wanted, and promptly went back to his iPad. He made me feel so unwelcome and uncomfortable that I left, as he had just left me standing at the bar unsure as what to do. I've never come across anything like this in a restaurant - his people skills are absolutely appalling and I am sure the reason he has chosen to use vouchers to entice customers is because his business is failing on the back of his poor people management and attitude to his clientele It's not worth the money to spend your Friday night sat in a soulless restaurant with a rude and unwelcoming manager. Go and find Super Tuscan on Artillery Lane instead like we did. Great offer on happy hour and lovely place to eat Pizza! Beautiful decor and atmosphere! Decided to try this recently opened restaurant on Commercial Street with friends last month as we live almost next door, and we were very gladly surprised. A delightful atmosphere, modern while cosy and charming, with inspiring view on typically Italian products and freshly home made pasta. 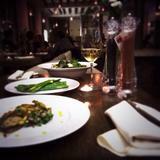 The food was really good, fresh and refined, while prices are very reasonable. Large choice of meals and they even prepared our own suggestion when not on the menu :) We will definitely go back there very often.